NEW LAUNCH | The Common Scents Co. If you love smelling good and pampering yourself then you’re going to love the products that I’ve got to share with you from theCommon Scents Co. The Common Scents Co. are new brand, started by Dhrutee from Leicester, who makes gorgeous smelling products from candles to bath bombs and soaps. I love supporting small businesses with handmade products so when she asked if she could send me some of her goodies to try out, I of course said yes. 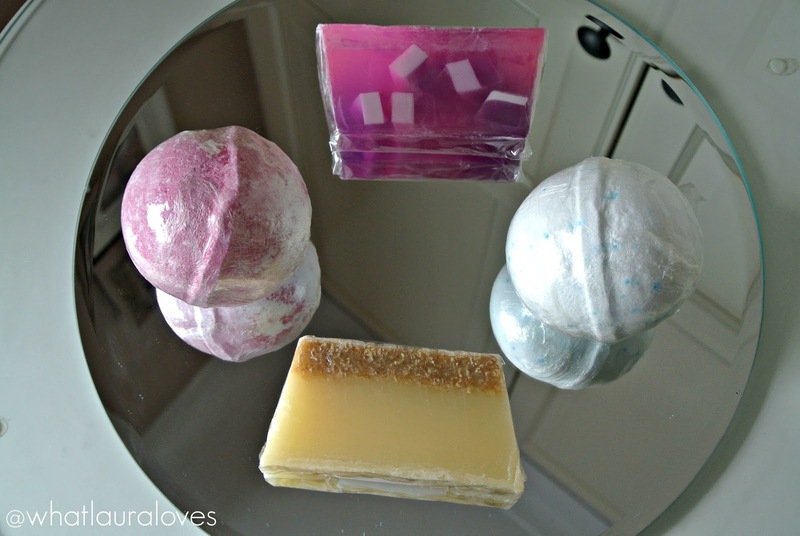 My favourite products from The Common Scents Co. are definitely their bath bombs. I received the Strawberry Pavlova Bath Bomb and the Coconut Dream Bath Bomb which both smell delicious! The scents aren’t complex, they very much smell how you would expect them to from their name which I think makes it easier to shop online. They’re both natural smelling, not synthetic at all and when you drop it into the water, they make your bath water smell lovely as they fizz away! The bath bombs come wrapped in a sort of cling film which I absolutely love. One of the things that really bugs me about Lush is that their bath ballistics just come in their paper bags which is kind to the environment but not kind to my bath. It means that I cant keep them on the side of my bath, looking pretty because when they get splashed, the water goes through the paper and spoils the product whereas this doesn’t happen with The Common Scents Co. bath bombs because they’re wrapped in a little plastic. Plus, I feel like I can’t keep all of my Lush bath products out on display together out of the packaging because they all end up smelling of one another whereas this doesn’t happen with The Common Scents Co. bath bombs because they’re wrapped up. The packaging might seem like a simple, small thing to comment on but it really makes all the difference. I also received two soaps, Pink Champagne and Banana and Coconut Smoothie which have been taking pride of place by the sink in a couple of our bathrooms. These soaps smell absolutely delicious, again very authentic, and the scent lingers on the skin after you’ve used them. I feel as though they’re cleaning my skin really well and they lather up nicely. Although appearances aren’t everything, I do think that these soaps in particular would make a great gift for someone as they’re presented to nicely. Their designs are so cute and fun and look great on the side of the wash basin, especially Pink Champagne. They’re definitely something that I would give a friend as a gift, perhaps wrapped up in a box with a hand towel, some manicure tools and a couple of nail polishes. 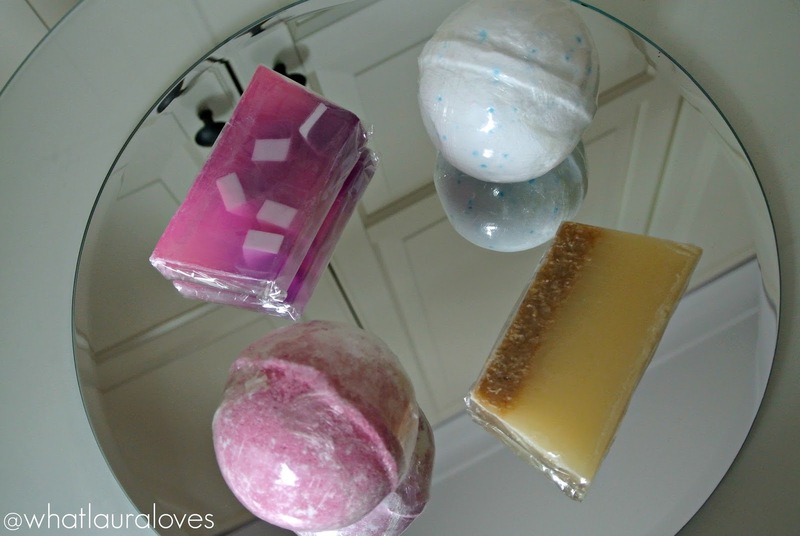 I’d love it if you could go over and check out The Common Scents Co. Its so great when someone decides to start their own business and I really think that Dhrutee is onto a winner here with her affordable bath products! The Common Scents Co. are currently offering free shipping on all orders over £20. You can shop here. You can follow them on Twitter @commonscentsuk too! What are your favourite scents of bath products?